Private Pilot Training JLS Aviation instructors are all qualified to instruct students toward a private pilot certificate. . Instrument Training The Flight School offers training toward an instrument rating. Periodically we also offer instrument ground school instruction as well. 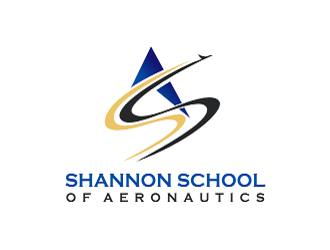 Ground School The course is open to student pilots or anyone who is interested in learning more about aviation..
JLS Aviation and the Shannon School of Aeronautics is a Flight School that operates at Shannon Airport in Fredericksburg, Virginia. The school's mission is to offer professional flight instruction for a variety of licenses, ratings and endorsements. To learn more about the flight school, skim through the web pages here and if you have any questions, please give us a call at 540-373-4431. JLS Aviation operates under a Flight School Certificate issued by the Virginia Department of Aviation. All the aircraft are maintained strictly in accordance with all FAA and manufacturers requirements. Each aircraft is inspected by an FAA licensed Aircraft Maintenance Technician after each 50 hours of operation, and undergoes a complete service after each 100 hours of operation. All aircraft (except the Ercoupe) are certified for operations in instrument conditions. The Flight School is approved by the Federal Aviation Administration to operate as a Part 141 Flight School for Private, Instrument and Commercial and CFI-I Courses. The Instrument, Commercial and CFI-I courses are accredited by the VA and eligible veterans may enroll in these courses under the GI Bill. This means that in some cases students will be able to complete training for a license or rating in less time and with the added assurance that the program meets oversight requirements that exceed most flight schools. JLS Aviation owns and operates a Redbird Advance Aviation Training Device. This flight simulator allows us to teach and evaluate VFR students under a variety of conditions for various contingencies that may not be duplicated in flight. It also allows us to teach almost all instrument tasks pursuant to instrument instruction, including currency requirements for pilots who hold an Instrument - Airplane rating. The Chief Instructor has completed the first Redbird Instructors Course and we are now expanding the training available on the simulator to include training tasks for Private Pilot student. JLS Aviation and the Shannon School of Aeronautics are proud to operate as a Flight Training Affiliate of the Liberty University School of Aeronautics. 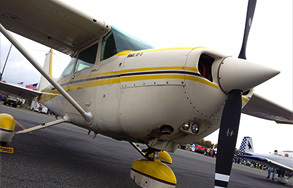 Pilots who enroll through Liberty University may take flight training at Shannon Airport and count the flight training toward College Degrees and a potential career. High school students can complete take both the Private Pilot Ground School and Private Pilot Flight Training at Shannon and receive college credit toward their degree. Any prospective student who would like to pursue and aviation career supported by flight training at Shannon should contact Liberty University at 434-582-7727. JLS Aviation conducts aerial photography services for individuals or businesses. We can photograph places of interest such as houses or farms for sales or personal use. For businesses, especially construction, we currently have contracts used for records of progress, presence of machinery, and other aspects of construction that can serve as legal supporting evidence. We guarantee your satisfaction. Often pilots purchase aircraft that they are not qualified yet to fly or the cost proposed to ferry the aircraft is prohibitive. JLS instructors are qualified in a variety of aircraft and we know may commercial pilots who have owned or can fly others. If you need an aircraft ferried, please give us a call and let us compete for your business. If you or someone you know would be interested in an alternative to traditional burials, ash scattering from an aircraft is a low cost, environmentally friendly alternative. You can choose the location and other features that will make this a proper ceremony.For more information, visit our WITH WINGS web site. Private Pilot Ground School. The Flight School will probably offer a private pilot ground course of instruction starting in January 20, 2019. This course lasts for at least 10 weeks, though often weather cancellations necessitate an extension of a couple weeks. Each class starts at 4:00 PM and lasts about 2 hours. Please contact the instructor, Jim Stover, at 540-373-1715 for any questions. Wings Seminars. JLS / SSA plans to conduct Wings Seminars for the foreseeable future. Specific announcements will be made through FAASafety.gov. If you would like to be notified of upcoming seminars be sure your Wings account is active and you have selected that you would like to be notified of local events. Seminars are intended for VFR pilots, IFR pilots and Flight Instructors. Whether you are a student pilot, a CFI candidate or a seasoned pilot, you are welcome to participate in the seminars. Signing up for and attending a seminar counts as Wings credit toward a Flight Review. The next seminar is a CFI Seminar planned for Wednesday, February 13, 2019 at Shannon Airport. JLS Aviation offers Introductory flight gift certificates in our aircraft for $150. The flight is for one or two people and consists of a flight in the local area for about 35 minutes. The flight is designed to provide someone who has never experienced flight in a personal aircraft the opportunity to take the controls. It is perfect for someone who is considering flying lessons but is unsure about the planes. An experienced instructor will talk you through a pre-flight inspection, engine starting and run-up, taxing, takeoff and flight. This offer also extends to anyone who would like simply go up in an aircraft. For most, the first flight is unforgettable, as it is truly a unique experience. Should you wish to purchase an introductory flight for someone else, call the Flight School to either purchase a flight as a gift certificate or to sign up for a time to fly. The FAA has recently changed the way in which introductory flights are conducted. Flights are no longer covered under the flight instructor exemption rule and must be conducted under the broader umbrella of "site-seeing" operations. Pursuant to the requirements for this kind of operation, JLS Aviation has received authorization from the FAA to conduct Introductory Flights, Site-Seeing Flights, and Discovery Flights from Shannon Airport. The increased costs necessary to obtain this authorization require us to raise our costs for these flights slightly. JLS Aviation recommends AVEMCO insurance. RENTERS Flying Rented Aircraft? Avemco® has coverages designed especially for you. OWNERS Need Insurance for Your Airplane or One You Are Planning to Buy? Avemco® has coverages designed especially for you. Visit Avemco to learn more or submit your quote request today.